At ebay.in you can purchase BRAND NEW SEALED DRIVECLUB DRIVE CLUB PS4 PLAYSTATION 4 GAME for only Rs. 739, which is 43% less than the cost in Snapdeal (Rs. 1,299). 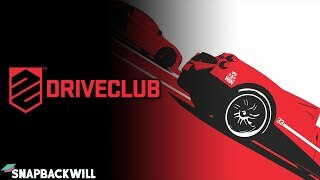 The lowest price of DRIVECLUB PS4 was obtained on April 10, 2019 4:04 pm. Nice game! the graphics are too good it’s like real life and the weather looks so….. good.The lighting is very good.But if it was 60fps it would have been even nice.But the game is little hard.At the start, it is easy and boring, but when you proceed, it will be very hard and interesting.But you can unlock all the cars easily.The trees and roads look very realistic and the cars look so good.The first person view is the best in this game.The car’s interior and exterior is very nicely detailed. This is one of the reasons you should buy a ps4. But if it is an open world game and if there are customization,cops and nitrous,storyline and cutscenes, it would be very nice for these amazing graphics.But drifting is too hard in this game. The game has been fixed. There is a gorgeous weather update. And they keep giving free content every month, including the recently released Japan tracks. Each car handles unique and there isn’t any racing game on any platform that looks better than Driveclub. And it plays absolutely smooth, DC is a no-brainer for any racing fan or even casual racer. If you’re undecided, the best thing you can do is go to Youtube and watch a few recent gameplay videos – you’ll be hooked. The product delivery was perfect. Ordered on Wednesday and delivered in Kerala on Friday. Game Play is good, but you need to download 12GB of data + you need to pay extra for all new cars and if you need to play bikes, again pay extra. That was too much! This game is super and the product is very good. The packaging of the item was excellent. Weather effects are too good to be true, Indian hill climb challenge with Ferrari is awesome, very little opportunity for overtaking. Driving with manual gear shift is similar to real driving experience. 13 GB update is required before you can enjoy drive. 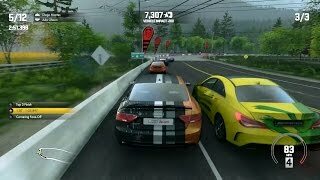 AI is top notch and very difficult to beat them with rash driving. Norway circuit with night time and heavy precipitation setting is impossible to drive, don’t know how AI just zooms through. Steering inputs can be given with motion sensor, Left stick or bidirectional pad buttons. Overall a challenging game. It doesn’t have free environment and driver need to stick to tar road with few feets available fot cornering and overtaking. Its super game, but that’s my bad luck or any diffect in CD I dont know, within one month only this CD wont recognise by PS4 and its not having any scratches on it my other games which I purchased with same order working fine. Good graphics and good collection of cars . The graphics are among the best you can find . Single player is a bit boring compared to online play . Found out the hard way that I can’t buy DLCs for this game from my PSN asia (India) account. The copy I got was for EU region. The game itself runs normally – very well, actually – but I was really looking forward to the bikes DLC, which sadly can’t be bought without jumping some major region hoops.Also, had to download a mandatory update of 19GB. If I had my ps4 offline before inserting the disc, maybe I could have still played without the update. But those sweet weather effects are totally worth it.I have forza horizon 3 on my PC, and while that game is pretty, driveclub is realistic. The lighting/colors they’ve used are unbeaten 3 years after its release. The cars handle like those in NFS games though, so don’t expect to have a smooth transition if you are a simulator fan.